When I first started freelancing, I looked everywhere for a freelance invoice app to help me streamline my online business. See, I used to have this invoice template built in InDesign and stored somewhere safe on my computer. Every time I needed to send an invoice to my clients, instead of using an invoice app, I would pull up the InDesign file, edit the content, “save as” and then email that invoice to the client. And it was a bit of a pain. What didn’t exist then (nearly 10 years ago) were dozens of incredible client management and freelance invoicing apps to help you build super simple invoices, save them right in the web app (or mobile app), and then create and send invoices – all in less than a minute. What I wish had happened when I first started freelancing was (1) that these freelance invoice apps even existed in the first place and (2) that some more seasoned freelancer would have told me about them. So I’m here to do exactly that today. I’ve collected a large list of freelance invoice apps below. Many of them I have tried. Some of them have even supported this blog or one of our podcasts as a sponsor. But all of them are top-notch, high-quality freelance invoice apps that will completely change your business…. especially if, like 10-years-ago-me, you’re still creating invoices from a template in InDesign instead of using an app. Take a look through the list, give some of the apps’ free trials a test-run and let me know in the comments which apps you think look the best for freelance invoicing. Or, if you’d rather, you can take a look at our freelance invoice template collection including free templates made in Google Drive, Word, Excel, PDF, and more. See the full list here. As always, some links in the post are affiliate links—it’s how we pay the bills here at Millo. But I’ve taken a look at each tool and would never recommend one that I don’t think is a good fit. If you do click and eventually buy one of these freelance apps, thanks for the support! Perhaps the most well-known freelance invoicing app out there is Freshbooks—and for good reason. Freshbooks has just about anything you could ever need for managing your freelance business—including some of the best freelance invoice app features around. 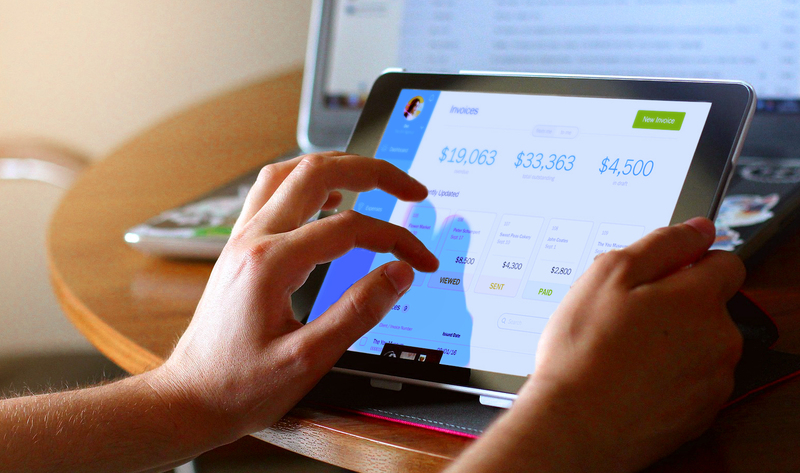 With Freshbooks’ app, you can create invoices in less than 30 seconds (whaa!?) and then you can send those invoices right to your clients from the dashboard. And they have this really cool feature built right into the app where if your clients forget to pay their invoice, Freshbooks will send them an automatic reminder so that you always get paid on time without having to re-send PDF invoices dozens of times (trust me, I’ve been there). I know tons of freelancers and solopreneurs who have used Freshbooks—and I’ve never heard anyone say anything terrible about them. Freshbooks also has a freelance invoice template available in PDF, Excel, and Word which you can see in our roundup of the best freelance invoice templates. HoneyBook is one of my favorites on this list, primarily because it comes packed with all the features you – as a creative professional – need to run your business seamlessly, from proposal to invoicing. You can easily create and send branded proposals, contracts and customized invoices, all the while staying on top client tasks with automated alerts and notifications. The design interface is easy-to-use with pipeline visualization where you see exactly where you are with your clients and what you need to work on – all in one place. Sign up for HoneyBook today and get 50% off on your first year. 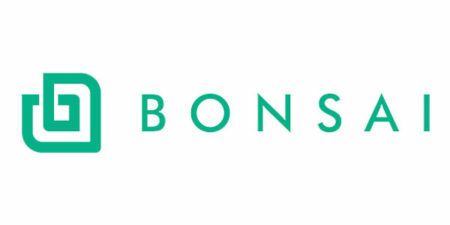 Another favorite app of mine for sending freelance invoices (and managing your freelance clients) is Bonsai. 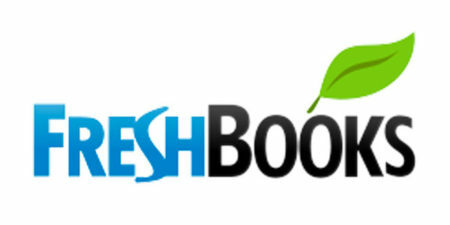 It’s quite a bit newer than Freshbooks (above) but don’t let that fool you. Their interface design is gorgeous!! What I love about this app is they use data to help you make better decisions. With over 40,000 users, they know what it takes to get paid on time, charge more, etc. and they share that information with you as their customer directly in their app’s interface. And not only does the app let you create beautiful freelance invoice templates to use over and over again, but the app also has templated contracts and legally binding e-signatures which means you’re protected as a freelancer. I’ve recently met the founder of Plutio, an up-and-coming freelance invoice app that handles not only invoicing but everything your small business might need. Plutio helps you create tasks for whatever needs to get done and keeps you organized so you can stay focused. You can also communicate with anyone in your business through real-time messaging and integrated emails which can be a real life-saver. If you’re ready for a fast, easy-to-use option that deeply customizable, check out Plutio here. Set your schedule and allow your clients to effortlessly book sessions and meetings. Connect your Stripe, PayPal or bank account and accept payments securely. Attach invoices to projects for keeping track of where they belong. You can create a Plutio account for free right here. No credit card required. Another phenomenal app to recently come on the scene is AND CO. Here’s what I love about this app: their unique selling point is that they’ll pair you with, not only great tech like the other guys, but also a real-life human being to help you manage your entire freelance business. So when you need more than just an invoicing app, AND CO is there to help. As soon as you complete a project in the project management section of the app, your “Chief Operator” will remind you it’s time to send an invoice. No more trying to remember where you stored your freelance invoice template, copying and pasting, saving as, and emailing. You can have your team and the app at AND CO do it all for you. The AND CO app has a no-credit-card needed free trial which you can try out right here. Give it a shot. I think you’ll like having a real human being helping you run your freelance business. Self-described as the world’s most powerful online invoicing and billing app, Invoicera focuses less on all the project management stuff and more on helping you create freelance invoice templates and send finalized invoices to your clients. Manage all your buyers and vendors from a single app dashboard ensuring all the invoices and payments are exchanged in a timely manner. Integration with 25+ global payment gateways. Receive payments from clients across the globe. Get customized business invoicing solutions by creating a smooth invoicing workflow for reduced invoice exceptions and disputes. You can try the Invoicera app completely free—no credit card required. Here’s what I love about Harpoon: in addition to being a great app for sending freelance invoices, it’s also a great motivator and stats tracker. 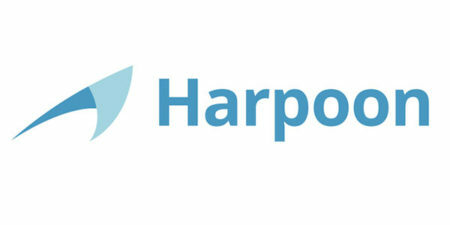 You tell the Harpoon app how much you need to be making as a freelancer, how much your insurance costs, what your other expenses are, how much profit you need to make in order to support your lifestyle, and Harpoon keeps you on track. It’s like your mother nagging at your when you’re a teenager—except this experience is completely enjoyable. Like the other guys, the Harpoon app has a free trial you can use to get started. Maybe planning your full year in advance is what you’ve always needed. 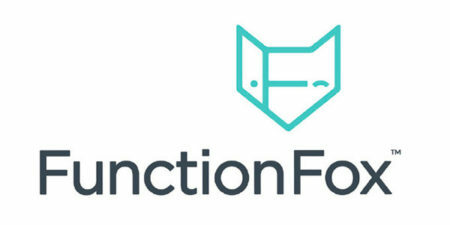 Like most of the apps in this list, FunctionFox does way more than just send freelance invoices. Their goal is to help you stay organized, stay on budget, stick to your deadlines—all while staying creative. The coolest part of the app is probably the customizable dashboard—it’s like an air traffic control tower for your freelance business: one place where you can see everything that’s happening at once. Schedule project milestones, meetings and actions in the app’s easy-to-manage calendar view. Adding your projects is simple. Enter information into the app only once and update as needed. You can try the FunctionFox app for free for 14 days and test out the cool features for yourself. The name for the 17 Hats app comes from that feeling when you’re a freelancer or solopreneur and you wear all the hats: it’s your job to get the creative work done, but it’s also your job to send the invoices, remind your client, advertise your services, improve your profit margin, pay your taxes, etc etc etc. It can be a nightmare. Enter, the 17 Hats app. You can try the 17 Hats app free for 17 days…see what they did there?… which is a bit longer than some of the others, so there’s that. InvoicePlane is a unique app on this list. Not only is it almost exclusively a freelance invoice app, it’s also completely free. But there’s one small catch: it’s a self-hosted app. Meaning, if you choose to go with InvoicePlane, you’ll also need to get some hosting via Bluehost, Dreamhost, or Host Gator. Zipbooks has different levels of their app for every kind of freelancer and entrepreneur. From the free tier—which offers unlimited invoicing—to the “Services” bundle at $125 that gets you loads of premium app features including your very own real-life human bookkeeper. Pair that with a super-clean app interface and easy-to-use design and ZipBooks is a definite contender. You can sign up for the free version of ZipBooks here. Another app I’ve heard a lot about from the Millo community is Harvest. Not only is it a time-tracking and freelance invoice app, but you can also add members to your team: a feature some of the options above lack. This can be helpful if you plan to scale your freelance business to be bigger than just you in the future. If you’re ready to start growing you can try the Harvest app free for 30 days. Wave’s been helping freelancers and solopreneurs send invoices for a long time now. Their app also offers some great bookkeeping options. They also allow you to send clean freelance invoices in their app and receive payments directly as well. You can join over 2 million freelancers and contractors by signing up for a free account here. In addition to allowing you to send simple freelance invoices from their app, QuickBooks Self Employed allows you to track mileage and other expenses and maximize your Schedule C deductions. 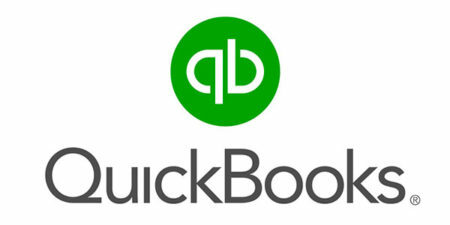 If you use our link, you can try Quickbooks for free and save 50% on your first 6 months. If you’re ready to take your freelance invoicing to the next level (I’m talking saying ‘goodbye’ to your InDesign docs), there are plenty of apps for you to try over the next few months listed above. But whatever freelance invoice app you settle on, here’s one last key lesson: select an app that saves you time, not something that makes your job more complicated. I know that sounds obvious, but you’d be shocked how many people spend more time updating their apps than actually working on their business—actually doing work that brings in real revenue. Let me know which apps you have used in the past or which ones you hope to try in the future. You can also include any apps or details I forgot + questions about anything below. Thanks for the info. There’s so many great options to choose from. thank you for sharing! very informative! Thank you SO much for this thorough post. I’ve copied the link for later, since I’m currently negotiating with some new clients. I’m also checking out your podcasts (I blog about podcasts over at http://podcastmaniac.com/) Thanks again! Also there is inly.io – it’s a new app that makes invoicing and digital contracts a simple and beautiful experience for you and your clients! I use Zoho Invoices and it is great! Its probably free for most individuals.